Earlier this week, Judge Jeffrey Brown, the judge who is presiding over the Ohio v Precourt / MLS lawsuit in Columbus, issued an 18 page Order addressing several of the pre-trial motions that have been filed in the case. A copy can be read here. His decisions do not make good reading for those who are hoping to have a Major League Soccer team in Austin. The Court issued rulings on Plaintiffs’ motions to toll the Six-Month Notice Period and on Defendants’ motion to stay discovery, but the Court also ordered the parties to participate in a court-managed negotiation and settlement process. And as I read it, Judge Brown considers settlement to be an outcome whereby the team will be sold, and the Columbus Crew will remain in Columbus in some form. 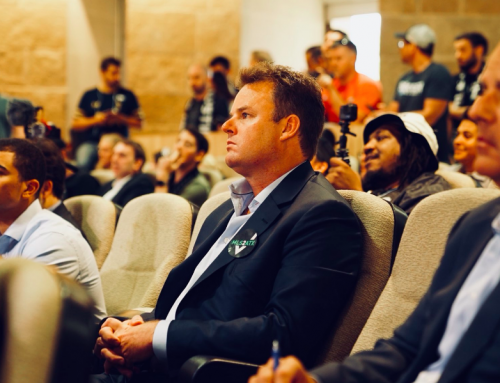 PSV and MLS have an uphill battle now to bring a team to Austin for 2019. The first thing I have to note is that I was impressed by the breadth of this Order. For a ruling on pre-trial motions, its unusual in my experience for a judge to issue such a lengthy, reasoned opinion. In Travis County District Court for example, the equivalent court here in Austin, it’s rare for pre-trial orders to be more than a page long. And the orders are generally drafted by the attorney that wins the motion. Most of the time, the order will just say ‘Motion Granted’ or ‘Motion Denied’ without any explanation. That’s true even for summary judgment motions. In New York, some judges will take the time to put their reasonings down, but again you might expect a few pages at the most, and often it will cut and pasted from another decision on a similar issue. Maybe a bit longer if the case is dismissed. As an example, the decision dismissing the case concerning the Ground Zero Mosque which I worked on was 13 pages. So to have an 18 page in depth analysis of these pre-trial motions is fascinating. All credit to the Judge and his staff for really digging into this case. This case is essentially about whether R.C. 9.67 applies to Precourt’s attempt to move the Columbus Crew to Austin, and if so, whether Precourt is complying / has complied with the statute. Despite making these rulings that relate to the notice period, the Court was at pains to point out that no conclusions should be drawn from this Order as to whether the Court believes that the statute is constitutional, or whether it applies to Precourt, or whether notice has been given, or whether notice is even required. And that’s fine. Although, I am going to draw conclusions from this Order. And I think it is very clear that the Court believes the statute applies and that notice is required. More on that later. The plaintiffs (State of Ohio and City of Columbus) wanted the six-month notice period to be tolled for the duration of the lawsuit, and any appeals. In other words, they wanted to ensure that the clock would not run out on any potential buyer’s opportunity to purchase the Crew before the Court had ruled on whether the statute even applied. “Toll” means to put on pause. A motion to toll is different from a motion to troll. Unfortunately, you don’t need the permission of the court to troll someone on social media. In an ideal world, you could file a motion to toll trolls, and then the petty trolling by a few individuals on both sides of the mls2atx / savethecrew debate could be paused, but I digress. MLS/PSV argued that the Motion to Toll amounted to a request for an injunction, which is a higher burden to obtain. Essentially MLS argued that if the six-month notice/purchase period was extended indefinitely, it would have the effect of preventing the move happening entirely. On this motion, the Court sided with Ohio/Columbus and granted the Motion to Toll in part. The Court tolled the notice period for 90 days. I love analogies, and I use them frequently in motions and in court. Judge Brown gave a nice analogy for the 90 day pause that is now in force. So the Court has basically removed the batteries on the six-month clock for 90 days. And it has reserved its opinion on when the six-month clock started. But it almost certainly isn’t buying the argument that the clock started in October 2017, as MLS had argued, because the batteries ran out on that clock a while ago. Ohio asked for a pause for a couple of years, they got 90 days, but if you are keeping score, this was definitely Columbus 1 Austin 0. PSV/MLS had argued that they should not have to respond to Ohio/Columbus demands for documents and discovery until the motion to dismiss has been decided. PSV/MLS also argued that Ohio/Columbus were abusing the discovery process to try and get confidential information that would interfere with possible negotiations to buy the team. The Court sided with PSV/MLS on this one. It said that if there was going to be a toll of the notice period, then there was going to be a toll of discovery too. However, the Court did direct PSV/MLS to provide information and materials necessary for potential purcahsers to make a valuation and offer to purchase. The parties have fourteen days to agree on what information and materials should be provided. And the parties probably wont agree. Ohio will want everything it has already asked for. And MLS will not want to provide anything. And so the Court stated that if there was no agreement, it would decide what had to be provided. Also the parties and any potential investors would have to sign an NDA (Non-Disclosure Agreement) so the information produced will not be made public. This takes us to page 16 of the Order. As I was reading it, my feeling was that against the run of play, this was a small victory for PSV/MLS and so if the full time whistle had blown there and then, I would have said the score would be Columbus 1 Austin 1. The Court also stated that it was basically deferring a decision on a separate motion to compel and on the motion to dismiss for 90 days too. But then things got better for Columbus. A lot better. On page 17 of the 18 page Order, the Court stated that, within the next 21 days, it will intervene to conduct separate meetings with the parties to explore the potential for settlement. That’s not unusual. Judge’s will often try to resolve cases. But then the Court wrote that at these meetings, the Court will determine what constitutes a bona fide purchaser, and that bona fide purchasers are “encouraged to contact the Court”, and to submit offers to buy the team to the Court under seal, (“under seal” means that that the offers will be kept confidential). That is unusual. The Court is basically going to reopen and then manage the negotiation and offer process for buyers to purchase the Crew during the next 90 days. And the Court ends the Order by saying that it might extend, decrease, or otherwise modify the 90-day tolling period as the negotiations proceed. I think I understand what the Court is doing, but it undercuts its earlier argument, and that nice analogy about batteries and clocks. The Court is not pausing the notice period, the Court is extending it for as long as it wants. Judge Brown’s nice analogy was that the Court was going to remove the batteries on the statutory six-month clock. I get that. That makes sense. And that should mean that everything comes to a standstill. Nothing happens. Time is stopped. No information need be provided, no offers need be made or considered while the Court works out whether the statute even applies. When the batteries are replaced, the notice period would continue from where it left off. But that’s not what is going to happen. Instead, the Court is effectively bringing out a new clock, with it’s own batteries. And maybe it’s a 90-day clock, maybe it’s longer. And during this new period, the Court is going to make sure that buyers have every opportunity to obtain necessary information from PSV and MLS, so that anyone can make an offer to purchase the Columbus Crew. This tells me that Judge Brown believes the statute is applicable and that he is going to enforce it. There is no doubt in my mind, this is a huge victory for the SaveTheCrew movement. Give them some credit. Final score on this Order: Columbus 5 (at least) Austin 1. If I was in the PSV/MLS camp right now I’d be concerned. The Court has said it wont rule on the motion to dismiss, and it wont rule on the applicability of the statute, but at the same time it is going to force PSV/MLS to engage in a process whereby it has to hand over confidential information to potential buyers, and it has to, at the very least, listen to offers to buy the team. And the Court is going to manage this whole process. And I expect Judge Brown will probably be letting PSV and MLS know whether or not it thinks any offers received are reasonable. I can’t imagine a scenario where PSV or MLS can announce a move to Austin while this new process is ongoing. They have to engage in this new 90 day process in good faith, or they have to find a way around it. It’s not an injunction. It’s not an order from the Court forbidding PSV/MLS from leaving Columbus. But for 90 days at least, I think they are stuck. And time is absolutely of the essence. There are community meetings happening in Austin this week with a deadline to report back of June 1st. The City of Austin is spending a lot of time and money to expedite a decision on whether it should hand over McKalla Place to the owners of a Major League Soccer team before its summer break. I would expect that the City of Austin would want some assurances that the Major League Soccer team is actually coming to Austin before it makes any commitment. And I don’t think those assurances can be given now. Maybe the City of Austin is willing to enter into a deal contingent on the outcome of the lawsuit, but for me, a more likely option is the City decides to kick this project down the road until it knows for sure what is happening. The City of Austin does not like to be rushed into anything. WHAT WOULD SETTLEMENT EVEN MEAN? Judge Brown clearly thinks he can settle this case. From the outside looking in, this is a tough case to resolve. The owners of a team wants to leave the City of Columbus. The City don’t want the team to leave. Either the team leaves or it stays right? Where is the middle ground? How can this be settled? The Court wants to explore “the potential resolution of this matter through a mutually agreed settlement”. Does anyone expect Columbus to just let the team leave? No. Does anyone expect MLS to just give up and keep the team in Columbus? No. So what possible settlement could be explored? To me, I think the Judge believes that the only way this case gets settled is for someone to purchase the team*. Or at the very least, for MLS to agree to keep a team in Columbus. The Crew stay in Columbus on the condition that the City help build a new stadium. Austin can apply for an expansion team. The Crew stay in Columbus on the condition that an agreement is in place for a new stadium within 12 months. If the stadium deal is done, the Crew stay. If not, the Crew move to Austin in 2020, assuming Austin has a stadium deal in place. 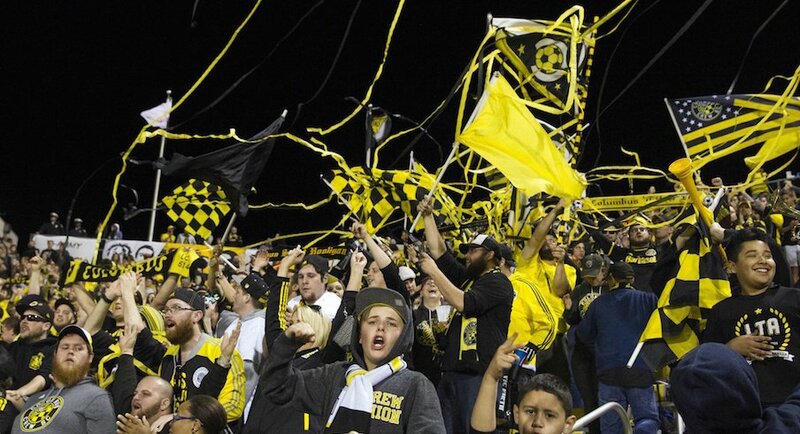 PSV are allowed to take the Crew franchise and move to Austin. The Crew name, colors, intellectual property, and history stay in Columbus and Columbus are guaranteed an expansion team, within 2-3 years, perhaps conditioned on a new stadium. I don’t know if settlement is even possible, but it appears that Judge Brown does. And that has to be good news for Crew fans, because I can’t think of a settlement option that Ohio would accept that doesn’t include some guarantee to Columbus that either the team will stay, or that a new franchise will be promised. That’s essentially what happened with the San Jose Earthquakes, the one time this issue has arisen in MLS, and I can see that outcome happening again now. WHERE DOES THAT LEAVE AUSTIN SOCCER FANS? We are just going to have to wait a bit longer for some good news. The City of Austin is asking for input from the community regarding the use of land for a major league soccer stadium at 10414 McKalla Place. Input given will help the City determine the community benefits that should be considered when entering into a partnership for a project. If you want major league soccer in Austin, this is a great opportunity to let the City know about it. More here. There is a final “Information Session” tonight (Thursday May 10th) at the Montopolis Recreation Center Room #1, 1200 Montopolis Dr, from 7:00 pm – 8:00 pm. *I’ve already discussed what I believe a purchaser would be buying. MLS is a single entity and no MLS team has a right to play in MLS, unlike NFL teams who do have a right to play in the NFL. As far as we know, MLS teams do not. So what a purchaser is buying is some sort of license to play in MLS, perhaps for a specific time. But this issue remains unresolved. So what happens if and when the “toll” period extends for a full 180 days? Does he keep up the farce that the six months period is still paused and perhaps hasn’t even started? Or does he recognize that the period at minimum started ~now, since the court is actively entertaining offers? But Austin isn’t party to the lawsuit. It doesn’t seem like Austin would even be mentioned in any possible settlement. The toll period could be extended indefinitely according to the Court, and yes the six month period would still be paused. I think the parties agree that, if the statute applies, notice has at least started, but they may disagree as to when it started. As to your second question, yes Austin isn’t a party, but it’s apparent that PSV and MLS both want a team in Austin. It just might not be the Columbus Crew. I don’t believe MLS totally wants out of Columbus based on the commissioners comments recently to a Philly reporter where he said if they can get local ownership, new stadium, etc he would rather them stay. Now could this all be BS from Don? Sure…my point is that if a judge wants a settlement and there is a buyer with the bona fides waiting (rumblings is that there is a heavy hitter who wants to buy) in the background this might get done just because MLS and PSV don’t want to engage in court and open the books. Then again who really knows and i suppose they could just reject every offer and move anyway. Thanks for the analysis. I could never do your job. Living in Columbus, I’m naturally very Pro Crew. But there’s one thing you have to understand about the Soccer Don…. he will say anything at anytime to make himself sound like he’s in control. Even if that means that the back half of the sentence completely contradicts the first half. Trust me, none of this is even close to being over. I agree. Unless some sort of settlement is reached, I would expect any judicial outcome to be appealed. wait so a state law over writes federal law? How is that even legal? Since this involves an outside of state organization like MLS. One of the arguments being asserted by MLS/PSV is that this statute is unconstitutional, for example that it limits the movement of professional sports team in interstate commerce. But the Court has postponed a ruling on any constitutional issues pending this 90 day toll period. Pete, I’ve appreciated your commentary for awhile even though I disagreed with a lot of your opinions. I’m surprised to see that you haven’t commented on the appeal by PSV/MLS and where you think that stands. It might be moot at this point since a decision on the Motion to Dismiss is expected any day now, but I’d still be interested in hearing your thoughts. Thanks Ian. I hadn’t written about the appeal because I didn’t think there was a lot of merit to it. Yesterday the appeal was denied which puts the parties back in the position they were when I wrote this article. I posted a quick take on twitter about that, and might try and post another article soon, but it’s hard to find the time with 3 World Cup matches on a day!